Exmoor Associates has been set up to acquire trackbed and property along the route of the former Lynton & Barnstaple Railway, so as to allow for future reinstatement. The route of the railway is 19 miles long, and currently comprises a patchwork of different land owners. View the route in a larger map. Click on the menu icon in the top-left of the map to toggle views. 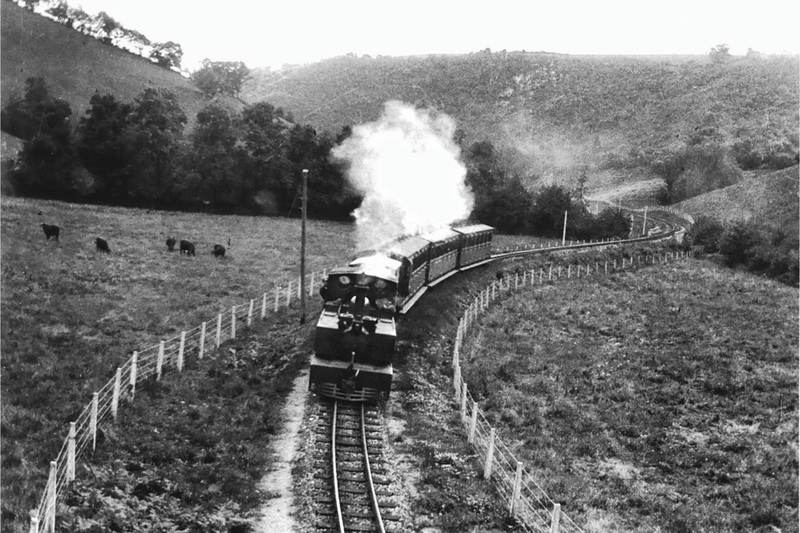 A short section of the railway has already been opened at Woody Bay. One of our more well known acquisitions, Snapper, is now our flagship site. This section includes the original railway halt serving the adjacent hamlet, complete with the waiting shelter and platform. There’s over a third of a mile of trackbed and river frontage. Over the last few years, volunteers have been gradually clearing the trackbed and station site and restoring them to their appearance when the railway closed. The shelter and platform have been restored, along with the running in board. Work remains ongoing to restore the platelayers’ hut and to complete drainage and other conservation works. 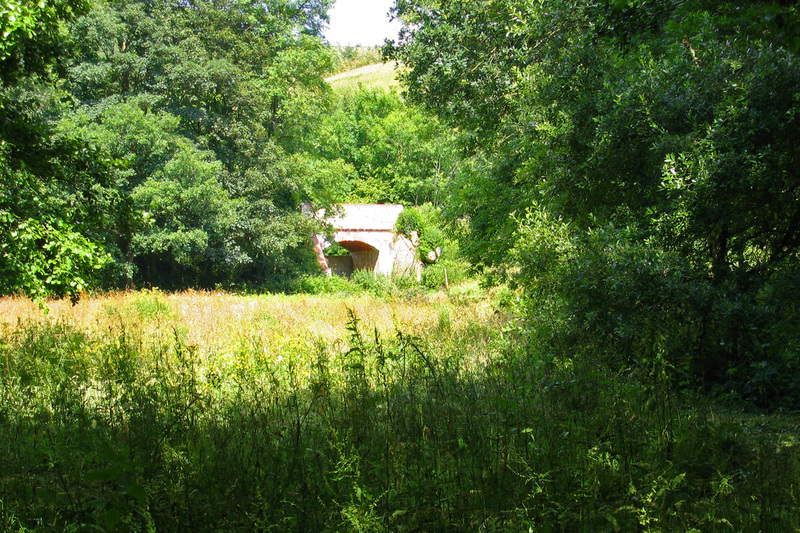 The trackbed in the Yeo Valley, looking back across our land to Snapper Halt. 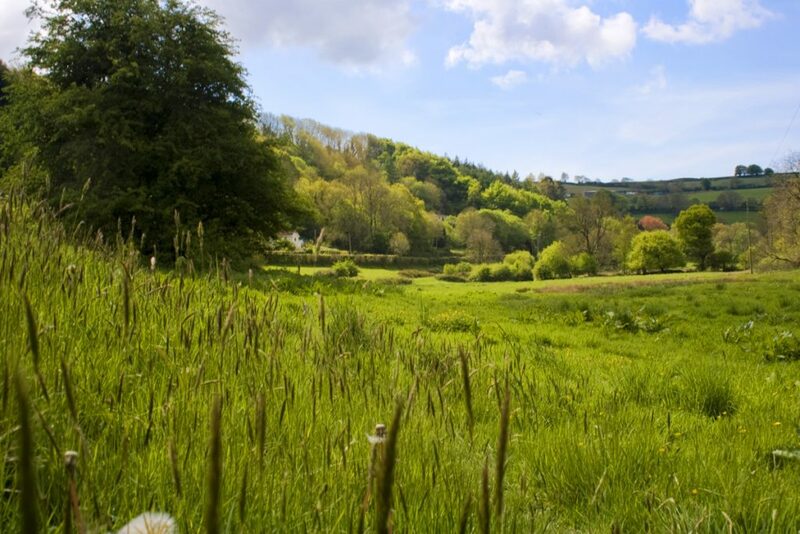 The first section of land purchased by Exmoor Associates was ten acres of grass and woodland, with river frontage, at Collard Bridge in the Yeo Valley. This was the first of two sections so far acquired at this end of the line. 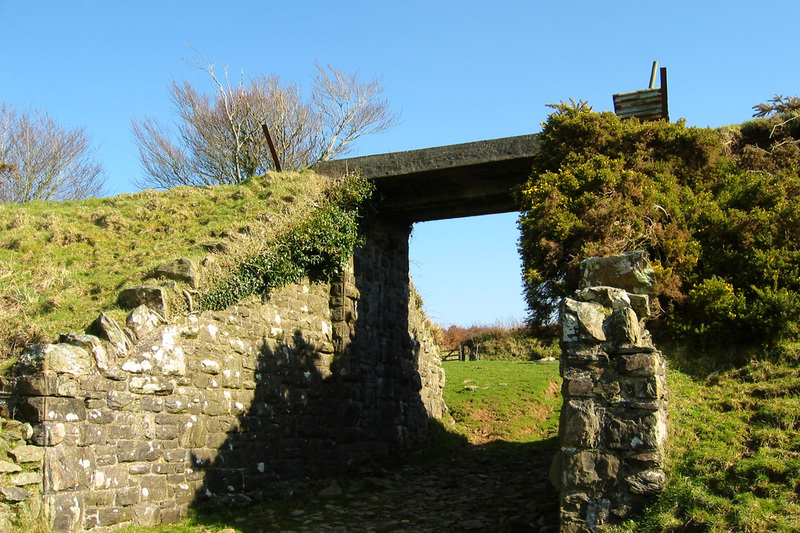 “Collar Bridge”, as it was known by railwaymen, marks the start of the 1 in 50 ascent which continues for the next 8 miles to Blackmoor at the boundary of Exmoor. The bridge gets its name as it is where the real collar work started for the loco crews. Bought at auction in September 2002, this land includes a short stretch of trackbed between the river and road bridges. We also own the fishing rights along our section of river bank. Since acquiring the land here we have assisted the Environment Agency in the construction of a new river weir, and Highways in the construction of a new adjacent road bridge following winter floods. In 2016 the trees along this section of the trackbed were taken out, opening the field up to light and restoring the view. This work is allowing the flower meadow to be reestablished, and is again becoming a delightful valley meadow. 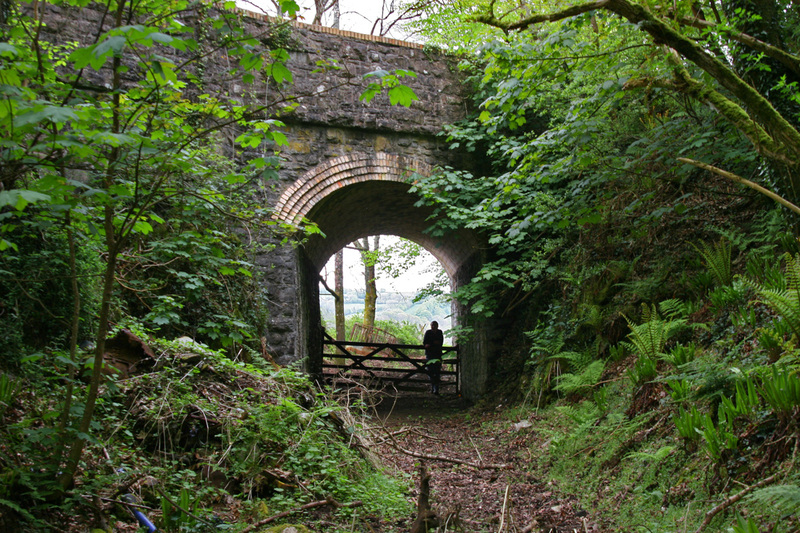 Collard Bridge, the start of the ‘collar work’ on the old railway, where the 1 in 50 gradient starts. Further trackbed is also owned by Exmoor Associates in this part of the Yeo valley, beyond Collard bridge to Skew bridge, and then also beyond Skew bridge within an area of forestry plantation. 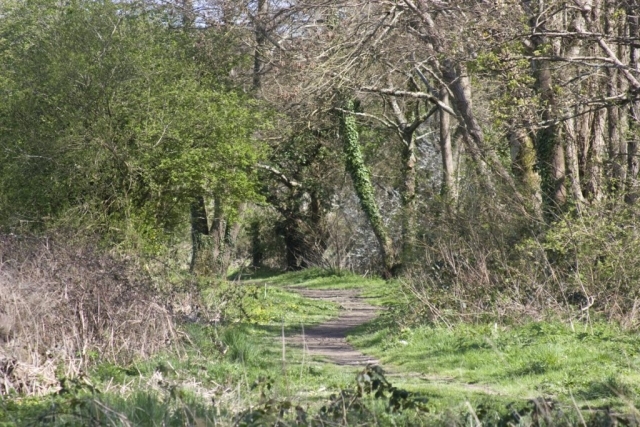 A half mile stretch of former Lynton & Barnstaple trackbed was purchased in 2004. The trackbed in the Blackmoor area is on the boundary of the Exmoor National Park and runs through part of the former Challacombe Estate. This stretch of land includes three bridges, several embankments and a deep cutting, taking the route down to Wistlandpound. 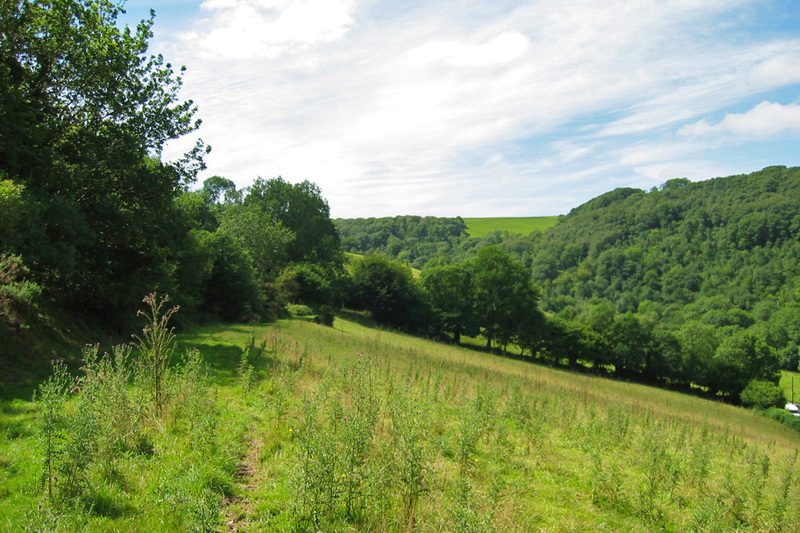 Ownership of this section of trackbed was transferred from Exmoor Associates to the L&B Railway in 2018, in order to facilitate construction of the next phase of the railway. 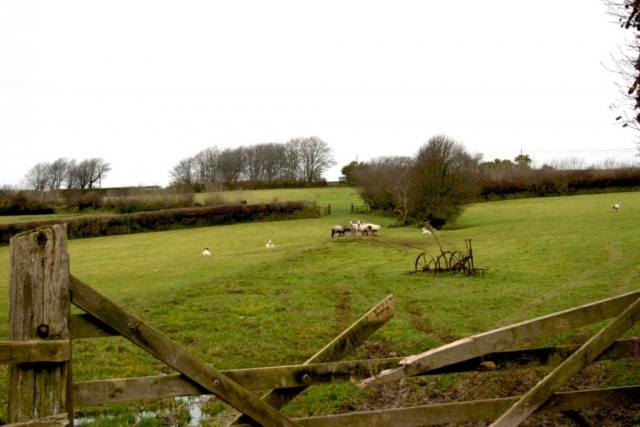 Exmoor Associates stepped in and purchased a very important missing link between the current railway railhead at Killington Lane, and the next section of railway-owned land at Parracombe Lane. Timing for this was crucial, as delay would have resulted in much greater long term cost to the railway. These are just some of the sections of land we have acquired and are managing. We are also currently in negotiation to purchase several other exciting and significant new sections of land and trackbed along the route of the old railway. Slotting the many pieces of the former Lynton & Barnstaple back together is very hard work, and we only have limited funds with which to do it. If you would like to help us with future acquisitions, why not consider buying shares in Exmoor Associates?